I live on a lake in West Kendall. The coots arrive every fall in October and November and stay until sometime in April. They become very tame during their sojourn here, and you can walk right up to them. If they think you might have food, they will even walk up to you. This one was content to sit on the ground as I photographed it. 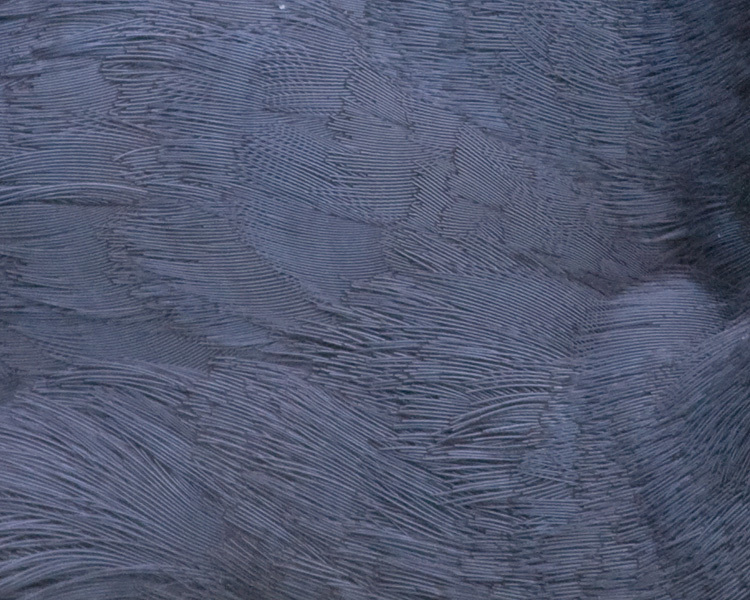 Here's some feather detail from the same coot. 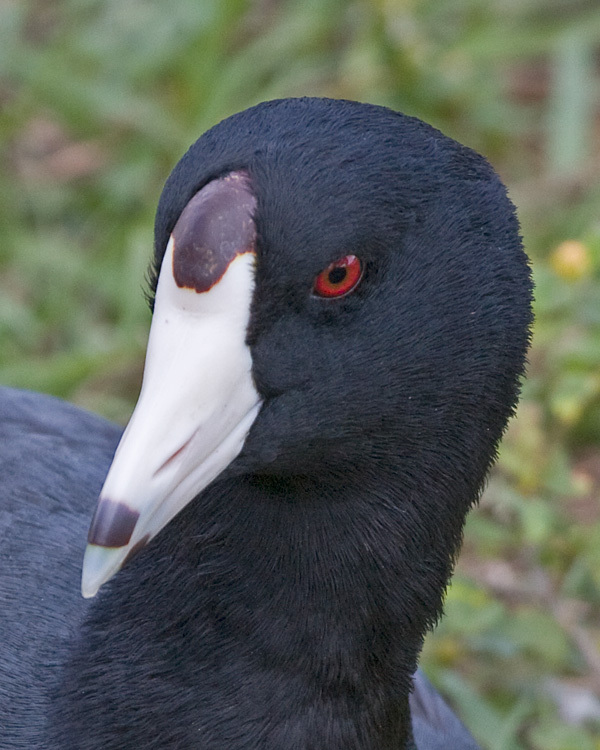 People sometimes think coots are a kind of duck. One way to see they are not is to look at their feet.